A lazy weekend exploring the ancient village of Saint-Émilion near Bordeaux, and sampling the Merlot-forward wines made in the hill town's shadow, unfolds in a sepia-colored reel of a France some thought had disappeared with the franc. Over the past few years, Saint-Émilion, named for the eponymous 8th century hermit martyr, has developed from a day-trip destination from the city of Bordeaux into one of France's most notable country-chic epicurean getaways. 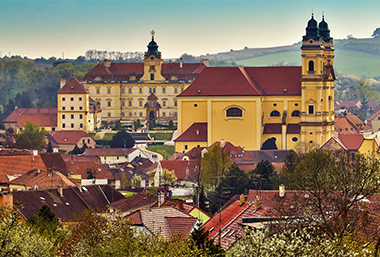 The village vineyards, named a UNESCO World Heritage Site in 1999 for historic cultural significance, have produced wine since Roman times. French country village totems like berets and baguettes, wood smoke and cigarettes, geraniums and sunshine splashing on weathered stone abound in Saint-Émilion. But the sophistication of the region's wine-loving visitors and cosmopolitan local winemakers has raised the bar on local dining and lodging to a level on par with parts of California's famous Napa Valley. On soft summer evenings, visitors and locals alike convene on the outdoor terrace of the Hostellerie de Plaisance, where the music of popping corks announces the slow slide into the aperitif hour. The patio here, unlike the eponymous Michelin-starred restaurant inside, favors espadrilles over stilettos, and offers the best views in town onto the village rooftops, church spires and vineyards. Savvy sippers know the hotel's wine cellar houses a wide, deep and well-priced collection of local wines. Your choice, probably made from grapes grown in local vineyards just steps away, will most likely be smooth, pleasant and redolent of black currant, with a lingering touch of licorice. Enjoying these wines, in this place, is a liquid bridge to French culture. To deepen your savoir faire, don't miss the Saint-Émilion Wine House, located in the former bishopric of the village cathedral, which boasts a wine shop stocked with around 450 local wines, an interactive one-room wine museum, and 90-minute wine tasting classes with bilingual instructors adept at sharing the secrets of the local wine heritage. Here's a quick primer: In Bordeaux, wines are not referred to by their grape varietal, but instead by their appellation, which tells the drinker where the wine comes from. Practically all Bordeaux wines are blends. Saint-Émilion wine, for example, is mostly Merlot but may also contain smaller amounts of Cabernet Sauvignon and Cab Franc grapes. 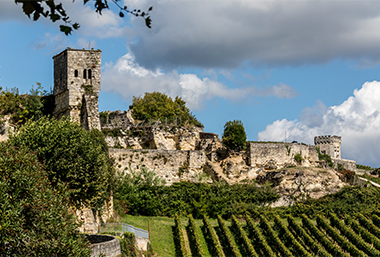 In terms of taste and terroir, the easy-drinking and approachable Merlot grape thrives on Saint-Émilion's slopes, where a thin layer of soil covers a limestone base, as well in the sandier soil of the lowland areas. In addition to the Hostellerie de Plaisance, the Logis de la Cadene is a five-star hotel and Michelin-starred restaurant owned by Hubert de Boüard, the eighth generation of his family involved with nearby Château Angelus. A stay there includes access to the restaurant's ancient wine cellar, plus a tour of the family winery, a pretty big deal since Angelus is not open to the general public. Dining at the cozy restaurant, one of the oldest in the village, will put you next to wine business denizens. In the summer, dine on the wisteria-shaded terrace. In Saint-Émilion, every restaurant, from Michelin-starred establishments to more casual places like La Terrace Rouge, has a local wine list and, in many cases, overlooks a vineyard. You can stroll from village to vineyards on well-maintained footpaths. At white-tablecloth La Table de Plaisance, Chef Ronan Kervarrec works wonders with local seasonal bounty. Consider braised artichokes with lemon-infused gnocchi and truffle shavings, grass-fed lamb from a nearby farm, or grilled wild sea bass caught in the Arcachon Bay on the nearby Atlantic coast. This is the place to engage the sommelier in conversation about the best wines to enhance your meal, by the glass or by the bottle. For a sweet afternoon break, purchase a box of coconut macarons from Nadia Fermigier, who is known throughout France for this local specialty. Then, head to nearby Couvent des Cordeliers, a former convent-turned-winery producing Crémant de Bordeaux. Buy a bottle of the local sparkling white wine from the gift shop, grab one of the bistro tables set among the crumbling cloister or on the grassy back lawn, unpack the macarons, pop the cork, and raise a toast to the best of French wine country life. 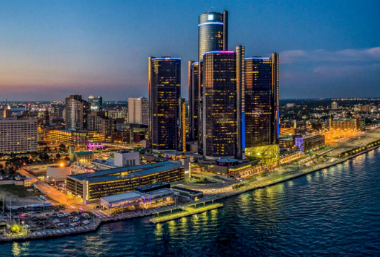 First came the cigar trade, then breweries flourished and eventually the automobile took over, giving Detroit its moniker “The Motor City.” But there’s much more to Detroit than a rich industrial past. 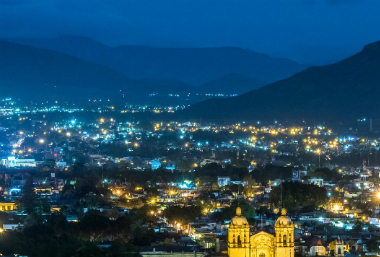 Once little more than a sleepy settlement in the moorlands of southern Mexico, Oaxaca City is undergoing a revival thanks to a recent infusion of artists, designers and restaurateurs.